So many of our couples are planning destination weddings and the first thing they say to me is, "I don't want a wedding inside of a wedding chapel. I think it's cheesy." Yes, there are plenty of "cheesy" wedding chapels here in Las Vegas and some couples are actually really excited about planning their weddings there so I don't knock it. But, for those looking for something a little more elegant and traditional, we have classy and beautiful wedding chapels in Las Vegas. 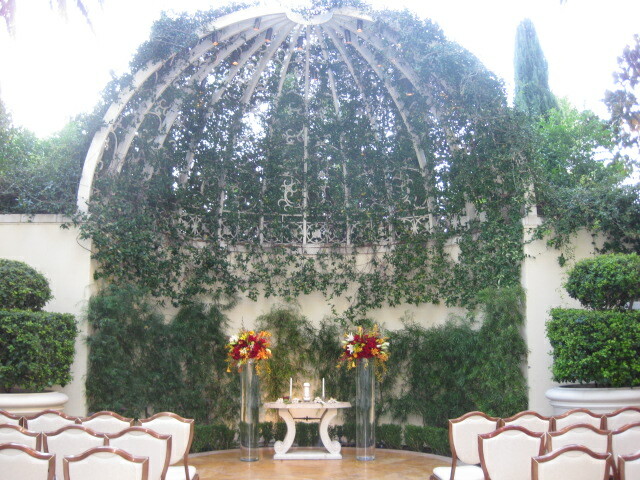 The Wynn Wedding Salons is one of my favorite spots for a wedding ceremony in a hotel because the service is excellent. It's a place where we, as independent wedding planners, feel completely welcome, and their in house floral department does a beautiful job. Yes, as with all hotel wedding chapels, the Wynn Wedding Salons does not allow any outside photographers, floral, officiants, video, or music. The below weddings happened prior to a change in their policy. However, I can assure you that their services are beyond excellent. All of my couples have been happy with all of their services. Take a look at some of the weddings we've done there in the past with their gorgeous floral. For brides and grooms getting married and looking for a beautiful experience, the Wynn Wedding Salons is worth considering!